Minimally invasive surgery using endoscopes is performed today for many operations. The guidance of an endoscope was previously performed by an assistant doctor. The camera guidance task in the future is taken over by “Soloassist”. 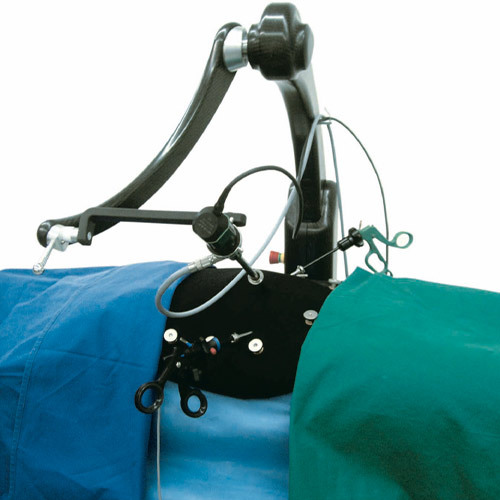 The machine enables precise control of the endoscope in all directions. The movements of Soloassist are monitored and controlled using draw-wire sensors from the wireSENSOR MK30 series.